Hans Hofmann was born in Weissenburg, Germany in 1880. When he was six years old, the family moved to the Bavarian capital of Munich. Hofmann enjoyed a privileged upbringing through the connections his father made as a bureaucrat in the German government. While his father insisted that his son pursue a career similar to his own, Hofmann had alternate plans. At eighteen, he began art lessons with the German painter, Moritz Heymann and soon after enrolled in a graphic arts school. To fully realize his artistic ambitions, Hofmann moved to Paris in 1905 where he remained for ten years. Here, Hofmann met Henri Matisse at the Académie de la Grande Chaumière, and befriended Pablo Picasso, Georges Braque, Sonia and Robert Delauney, and Gertrude Stein. The influence of Cubism and Fauvism from these visionaries in Paris would provide the foundation for Hofmann’s own unique, and indefinable style as he matured as an artist. The outbreak of World War I in 1914 forced Hofmann to move back to Munich, where he was introduced to the abstractionist Wassily Kandinsky. 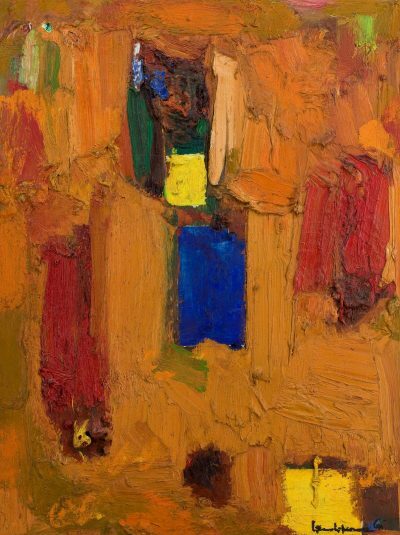 The Russian artist pioneered abstract art, using vibrant and expressive masses of color with no recognizable subjects. Kandinsky credited his revolutionary theories of abstraction to contemporary atonal music that disregarded traditional harmonies. Hofmann was compelled by Kandinsky’s theory and practice of art, and would carry this influence with him when he opened his first school in 1915. The Hans Hofmann Schule für Bildende Kunst was located in a Bohemian district of Munich, and attracted artists from across Europe and the United States. His engaging lessons on modern avant-garde painting brought him wide acclaim. Having cemented his reputation as an instructor of modern art, Hofmann was invited by a former student to teach a summer course at the University of California at Berkeley. Following the successful course, he returned to California several summers before finally remaining in the United States by 1932. In New York, Hofmann was a regular faculty member of the Art Students League, where his pupils included Ray Eames, Louise Nevelson, Lillian Keisler, and many others who would earn recognition in the years to follow. In 1933, Hofmann founded a school of his own, called the Hans Hofmann School of Fine Arts. By 1938, it was located at 52 West 8th Street in the thriving artistic enclave of Greenwich Village. Hofmann additionally led summer programs in Provincetown, Massachusetts, an artist’s colony that later drew Abstract Expressionists in the 1950s. 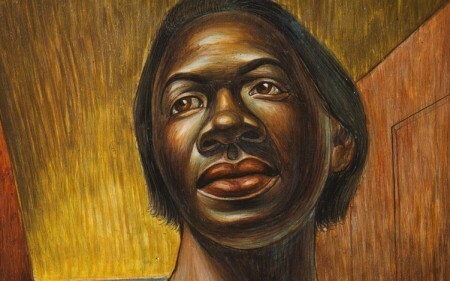 His school and unique theories of art were a welcome respite from the more practiced tenets of American regionalism. Hofmann’s first-hand experience with European modernism sparked the interests of his American students to experiment in new styles. During the span of 25 years, Hofmann was devoted to teaching and had little time to spend on his own art. 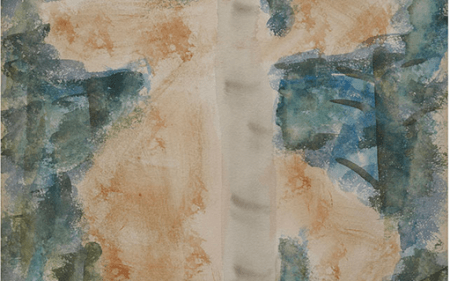 By the 1940s he was painting again and was almost entirely devoted to abstraction. At this time, Hofmann revised many of his writings on painting to reflect his theory of the “push-pull” dynamic of his works. His famous concept suggested the illusion of space, depth, and movement could be achieved through abstract forms and color. Concerto in Colours is a masterful example of Hofmann’s late “Slab” paintings, a style that visualized his theoretical concepts. Thick, richly painted orange brushstrokes overlap on the canvas and act as a background to the bursts of red, blue, green, and yellow forms. 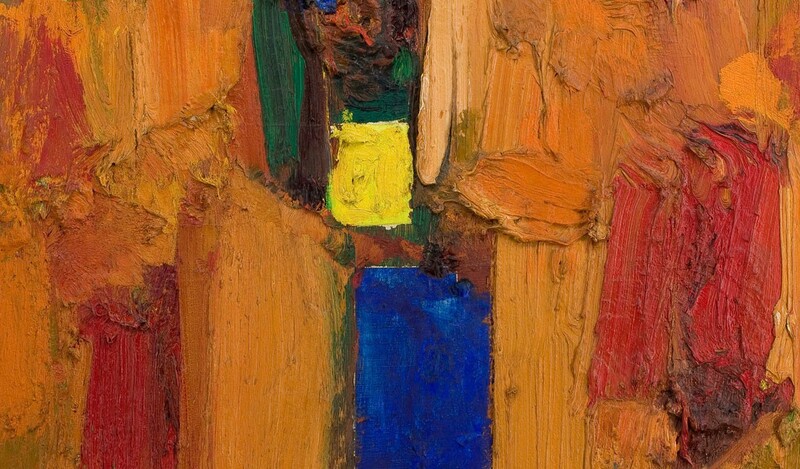 The liberal use of pigments create texture and depth, and reveal Hofmann’s dynamic energy as a painter. The balancing of vivid color with the forms and textured surface served to fulfill his notion of the “push-pull,” thereby achieving a harmonious composition. 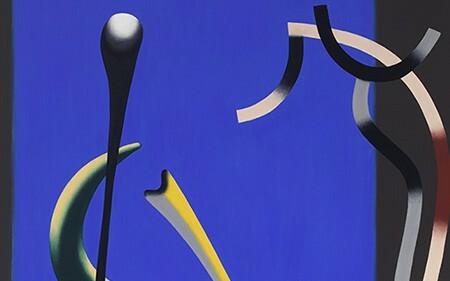 The title recalls Kandinsky’s musical source of inspiration for his abstractions, while also suggesting color as the primary vehicle for expression. Recognition for Hofmann’s work was received later in his career; his first solo show was held in 1944 at Peggy Guggenheim’s Art of the This Century Gallery when he was sixty-four years old. His expressive work during the early 1940s would act as the foundation for Abstract Expressionism, a style made famous by Jackson Pollock. Through his prolific teaching career and experimental painting, Hofmann made a generous impact on generations of twentieth-century artists.